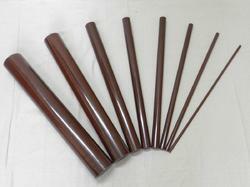 Manufacturer of a wide range of products which include hylam rods. We are one of the eminent business organizations instrumental in bringing forth a comprehensive collection of Hylam Rods. Rolled and molded from fine weave fabric as well as coarse weave fabric. Hylam Rods are manufactured by us in sizes ranging from diameter 8 mm to diameter 31/2” (90 mm) in the 1-meter length, Diameter 6 mm and 100 mm in 2 ft. length, Diameter 125 mm, diameter 150 mm and diameter 200 mm in 1 ft. length.